Compression is the process of automatically balancing the dynamic levels of a track to make it sound warmer and smoother. If you record your vocals raw and listen back to them, they sound nothing like how they do on a recording from your favorite CD. 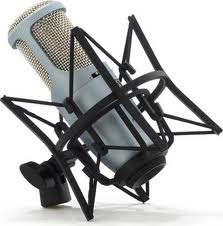 A professionally recorded song has compression on the vocals. It is very important to add compression on vocals. If you are a Pro Tools user they have many plug ins that can automate this for you and you can just tweak it! If you have multiple vocal tracks you can create an Aux Input track and add compression and EQ on it and then bus all your vocal tracks to that Aux Input. This save much of your computer power because of you add too many plug ins on every track, it user too much processing power for the average computer.